Nope, not my garden. 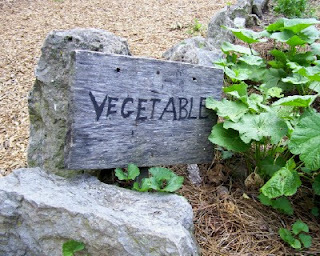 The zoo's farm garden is tended by our county's Master Gardeners. My little patch didn't fare too well during our vacation. Drought has stunted all my plants. I do have one potted cherry tomato with promise, but it needs a cage. I'm thinking I can make one myself. 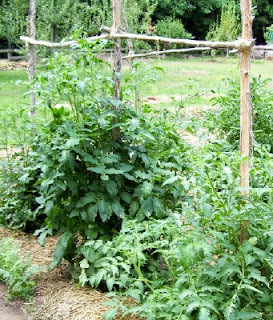 Here is a complete tomato trellis system, using cedar stakes and garden twine for support. I really like the natural look of these garden aids. Nice! Thanks for the photos! I need tomato cages, too (for my one teeny plant), and you've inspired me to look for natural solutions. My dad grows bamboo and I get enough for tomatoes and a trellis every year. 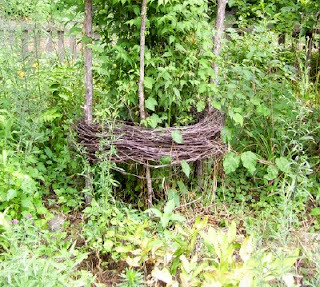 I'm working on a clematis vine arbor over the back walk this year but it is moving slowly. Thanks for all the great tips and ideas!